The Z-Catch secures the vessel position by a hydraulic clamping mechanism which fixes the bow to the vertical fender bars of the boatlanding. Animation shows Z-Catch operating in 1.5 m significant wave height. 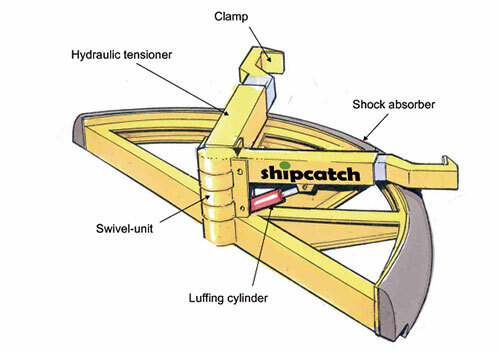 The hydraulic clamping system Z-Catch is mounted on the deck of the crew transfer vessel. Its main elements are 2 hydraulic arms wich can rotate around a vertical axis. At their front-end a hydraulic clamp is mounted which can be swung around the vertical fender bars of the boatlanding. 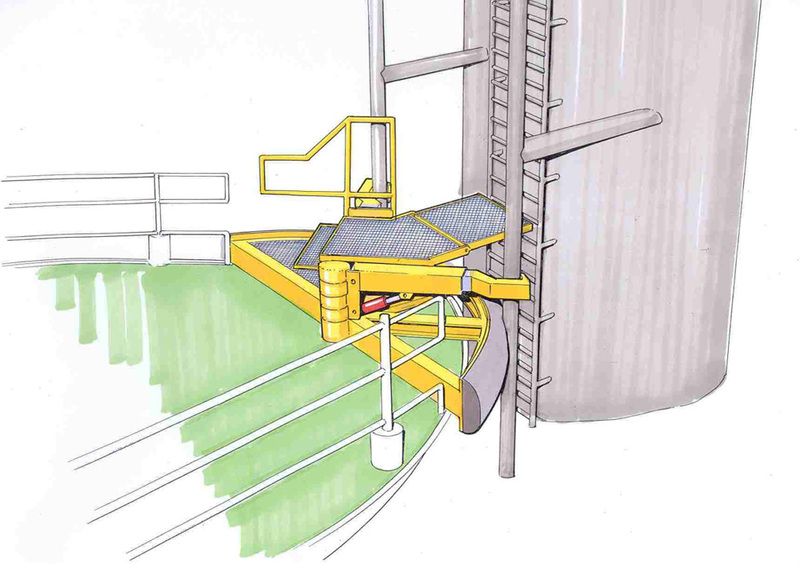 By activating 2 hydraulic rams they pull the vesselfender against the boatlanding bars with a preset force. The resulting friction stabilises the position of the vessel in all directions. A constant tension system guarantees a constant clamping-force while allows the pitch- and heave- movement of the vessel. 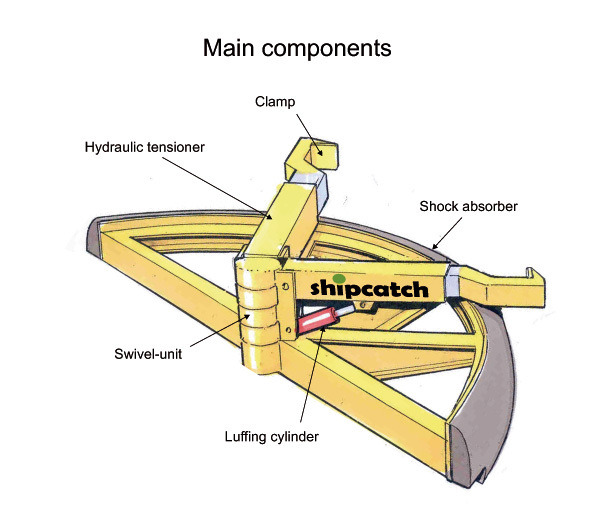 The capacity of the Z-Catch clamping system can be chosen, depending on vessel size and boatlanding construction. Clamping forces of 30 Tons are easily realised and capable of keeping vessels of up to 40 tons in a stable position.